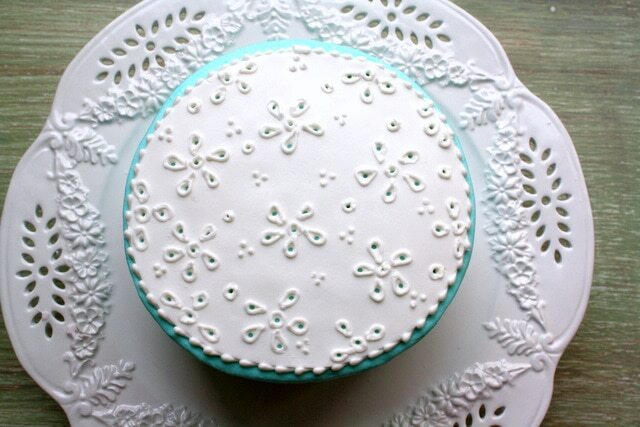 In today’s free cake tutorial, I’m going to demonstrate a Sweet Eyelet Cake! 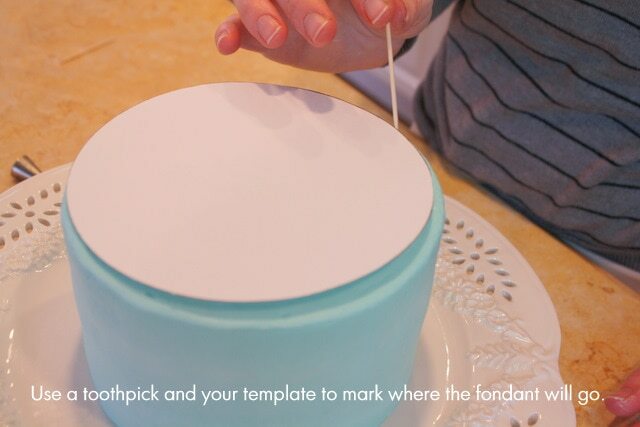 The look is so elegant, and these accents can be used on cakes for all occasions with no special tools! I just love eyelet fabric—especially in white. It’s the fabric that always reminds me of summertime (which is probably why I just had to make it yesterday–I’ve been longing for spring and summer lately!). 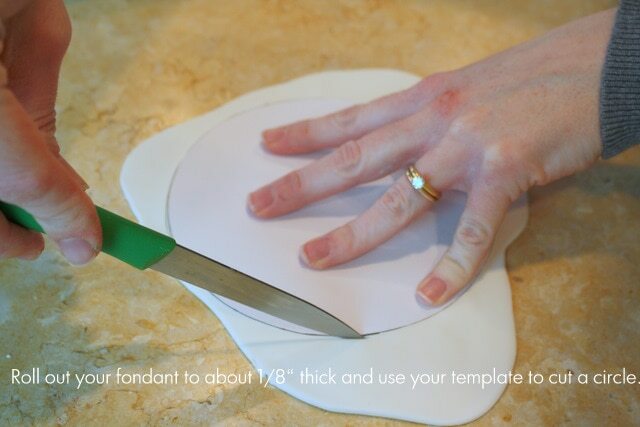 I’m going make an eyelet circle of fondant to lay on top of my 6″ buttercream-frosted cake (it was actually slightly larger than 6″ wide after I frosted it with buttercream). 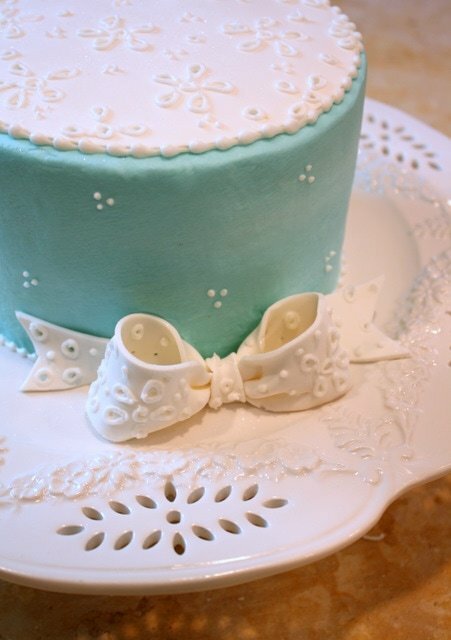 By the way, my buttercream is tinted with a very small amount of Americolor Teal coloring gel. 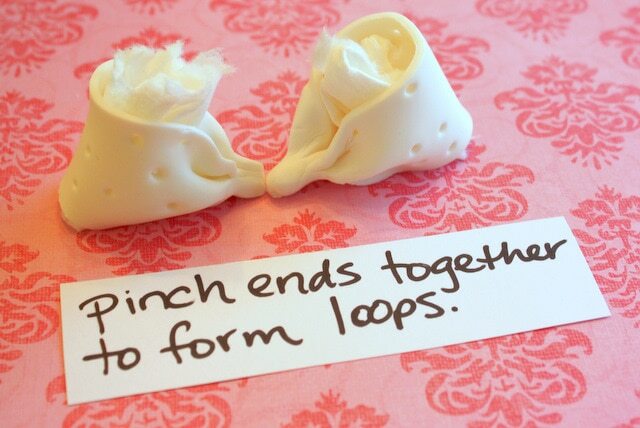 Allow to dry for a while with bits of paper towel or plastic wrap within the loops. Mine was dry enough to hold it’s shape (but still soft) after about an hour. I then wrapped a little piece of fondant around the center to form the knot, and made some ribbon tails too. 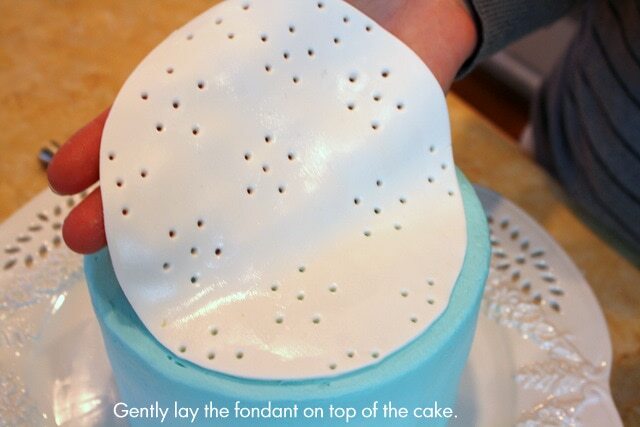 I piped a few clusters of dots around the sides of my cake (using the same piping bag as before). Ahhhh…. if only I had time to do cupcakes. That will be for another time! Thanks for stopping by! like very much. want to join you. I love this and will surely try it. Got to say just so beautiful. You make every thing so easy for me. 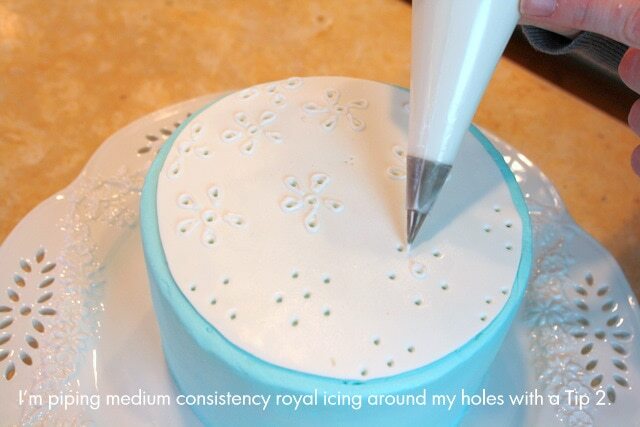 Hi Omotayo, If you prefer not to use royal icing , I think buttercream would be the best choice, using a tip 2. 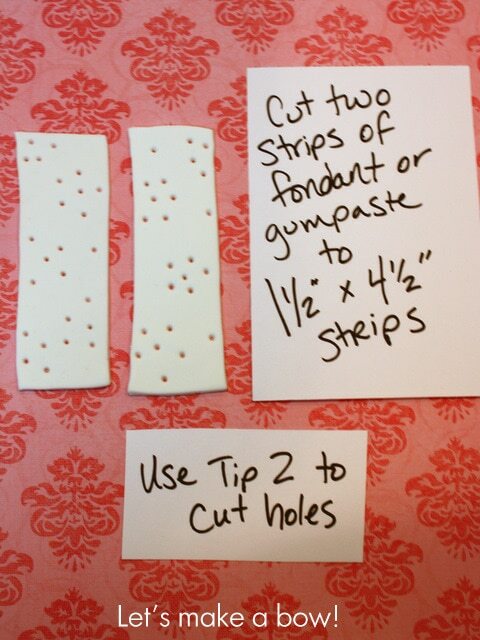 Thanks for sharing and showing how simple but effective this is. Hi Norzah, Thank you for your nice comment! My hand always shacky and not sturdy when piping on cake, is there any way or technic to overcome it, thanks. Hi Norzah, I find that I pipe smoothly when moving my entire forearm and keeping my wrist straight. This may help you. 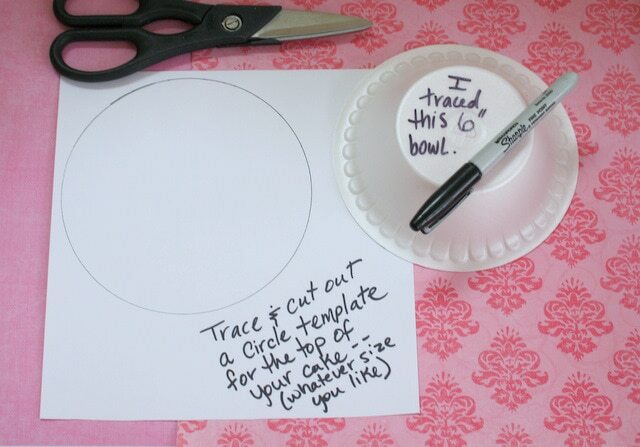 You could also go a step up with your round piping tip. For instance, I personally find that piping with a tip 3 or 4 doesn’t show shakiness as much as a tip 1 or 2. If your buttercream is very thick, it can also cause issues because of the pressure that you have to apply in order to pipe. If this is the case, just add a bit more liquid to your frosting recipe. 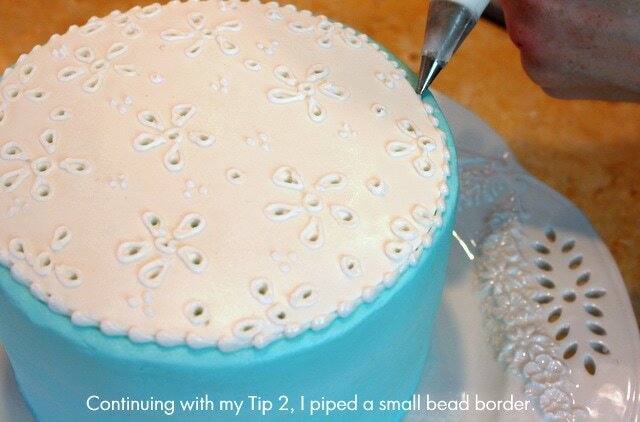 The more piping that you do, the easier it will become. I hope this helps!